In the meantime, several additional meetings were held on the subject with an overwhelming negative response from the public regarding further participation in the joint operation. On September 4th, the Board finally settled the matter by voting to drop the program all together in the face of public objections along with a sheriff who decided to spend over half of the federal funds before the Board had given its final go-ahead to do so. Having had a front-row seat to Operation Stonegarden excesses since the program first began manifesting itself in 2012 along Arizona 86 in Southern Arizona, I was relieved to learn of the Pima County Board of Supervisors’ vote to reject the grant earlier this month. Critics of the decision claim that doing so significantly undermines public safety in underserved regions of Pima County. The terms of the contract, however, accompanied with Stonegarden enforcement data and firsthand accounts paint a different picture. These patrols are specifically designed to increase the number of compelled “contacts” with the traveling public for the primary purpose of identifying illegal aliens and smugglers. So how do these explicit Stonegarden contract obligations play out in reality? One need only listen to the overwhelmingly negative feedback the Board of Supervisors received from Pima County residents during the monthslong Stonegarden funding debate — negative feedback that put enforcement statistics between January 2012 and September 2017 in proper perspective. Specifically, sheriff’s deputies collecting overtime from Stonegarden deployments during that time frame conducted 40,040 traffic stops with legal action only initiated in approximately 5,378 of those cases. The resulting 13.4 percent citation-to-stop figure means that tens of thousands of Pima County residents were needlessly stopped, detained, interrogated and harassed by deputies working on behalf of their federal handlers during Stonegarden deployments. Even more problematic, this percentage is significantly lower than the 60 percent, or greater, figure associated with traffic operations by peer agencies around the country, suggesting that Stonegarden enforcement decisions are primarily based on profiling rather than reasonable suspicion or probable cause. 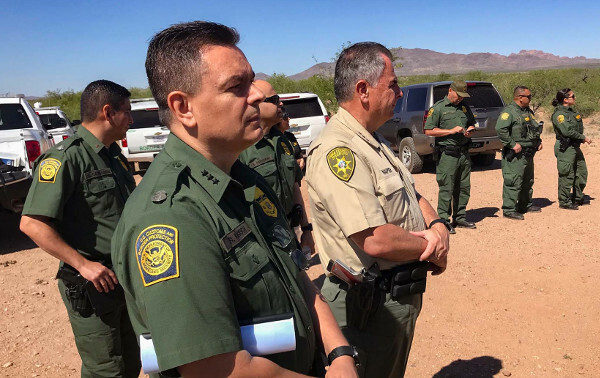 On top of all this, the Border Patrol has never shown much concern with deploying its local law enforcement resources under Stonegarden to underserved areas of Pima County, where there may be little or no law enforcement presence. Rather, the Border Patrol has always shown significant interest in turning its interior immigration checkpoints into general law enforcement operations by stationing deputies at checkpoints already fully staffed by federal agents. Pima County Sheriff Mark Napier questions why the Board of Supervisors decided to drop Stonegarden funding after 12 years and a $16 million seat at the Stonegarden table. The question he should be asking is why he and his predecessors failed to use that seat to address the simmering public resentment and outrage that has grown out of Stonegarden enforcement priorities, priorities that have more to do with padding local wallets and pensions than ensuring public safety in underserved areas of Pima County. While I concur with Napier that, “Public safety is not a political, partisan or ideological issue; it is a quality of life issue,” the record shows that Stonegarden has little to do with public safety. Rejecting the failed programs of yesterday is the first step toward finding sustainable solutions to the problems of today. My thanks to the Board of Supervisors for doing just that. Previous Previous post: In the News….